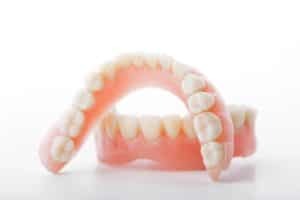 Is it worth it to use dentures for replacing teeth? Hi everyone. I really hope you had a great weekend full of rest. I want to start this week with a topic that some patients have asked me in the past. I get many questions regarding which procedure is best for replacing teeth. Some think implants are the best options for everyone, but it is important to take all the variables in mind. Although dental implants are superb, not every patient has the patience and budget to get one. That is one of the reason dentures enters in the picture. Traditional dentures tend to raise a brow or two now days because some people seem them as obsolete. This is in fact not true at all as many patient around the world prefer dentures for many reasons over any other treatment. That is why today I will address some of the advantages of choosing dentures as a treatment for teeth loss. This hopefully will help you to ease your mind to make a decision for yourself. We can start by saying they are really convenient. You just put them on and th at is it. The perfect way to get your dentist is by visiting your dentist and get them custom made. Here at Dental Solutions in Los Algodones work with an excellent dental lab to make perfect dentures at a fair price. Depending on the material chosen for the dentures can delivered in 1 to 3 days. Every detail is well crafted and thought so you can get the best results possible. Aside from this we work with a friendly and dedicated staff fluent in English to help you solve any dental need that you have. So if you are looking for affordable dental care in Los Algodones Mexico come to Dental Solutions. We have our doors happily open for you and your loved ones! Now back in business, let’s keep talking about dentures. One of their most amazing advantages is the cost. Of all the solutions available for teeth loss, dentures remain king in terms of affordability. They are so cheap that any budget can acquire them. This is a huge plus for any patient that wants to save money or want the most effective solution in a tight budget. Certainly it is a really cool asset. Not everything is nice with a denture, they have some negatives things sadly. And the first one I want to address is that the can be uncomfortable to use at first. It requires practice to talk, eat and realize any activity. Although it is not too difficult it can be a bother for some people. Keep this in mind when thinking about going for dentures. Remember fit is key. Whit that say, the maintenance can be a little tricky too. 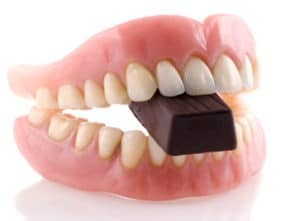 Some dentures require to be cleaned often to maintain their top condition. They can stain really quickly just like natural teeth and break even easier. It is important to get the right material for your lifestyle if you want them to last a long time. Other than that dentures are a great option for patient who wants a simple solution for a simple price.